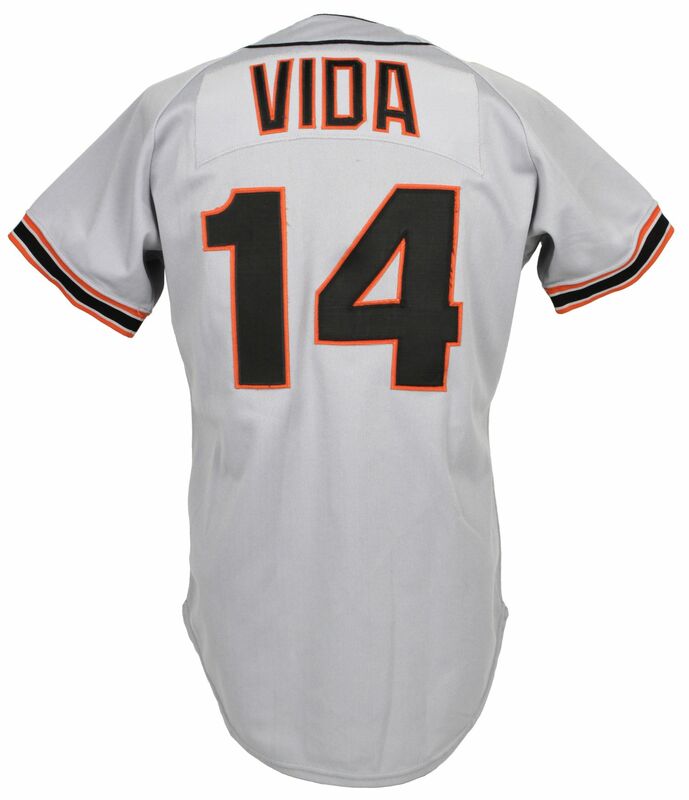 Vida Blue was a captivating presence on Bay Area mounds for parts of three decades. 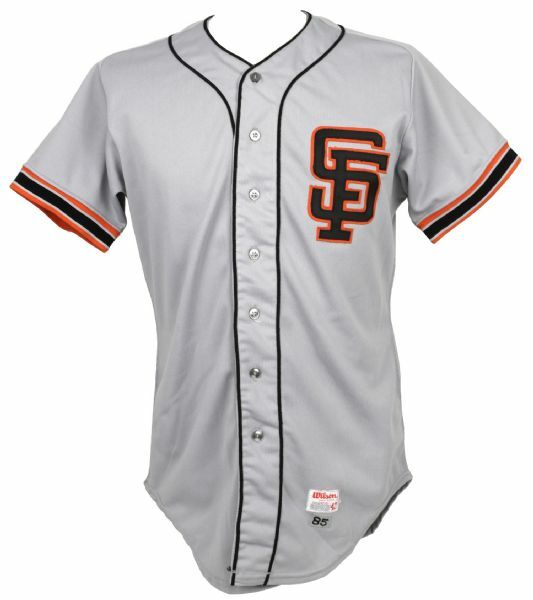 This uniform dates to next to last season in the Major Leagues and is sourced from the collection of teammate Chili Davis. While to provenance offered with this jersey is reasonable and verifiable (Chili Davis Letter of Provenance), MEARS Auctions is offering this offering this jersey as an ungraded professional model road jersey with no attribution of game use. 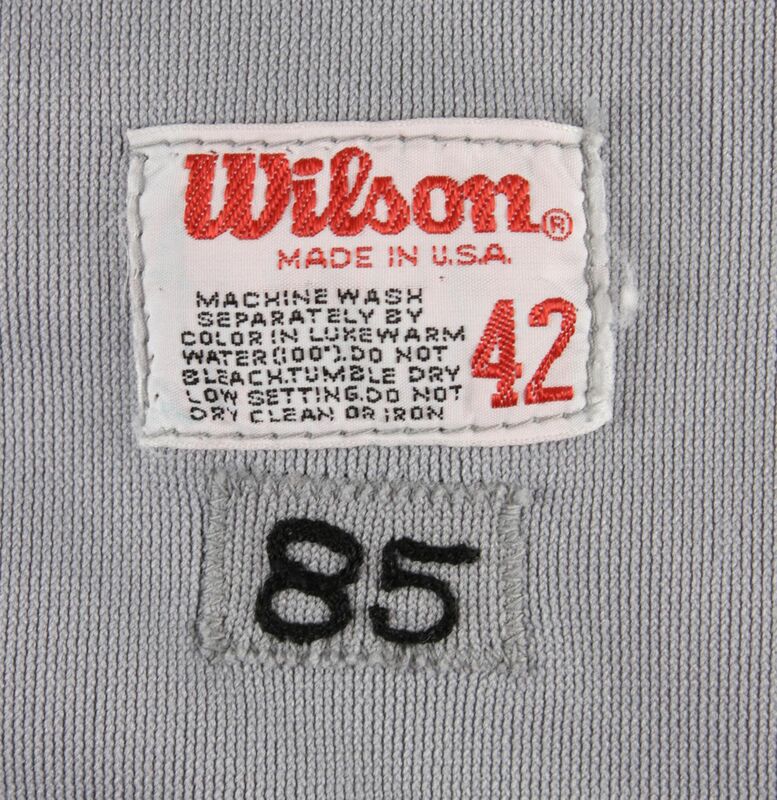 During our evaluation we noticed the Wilson manufacturers tag in the tail appears to have been resewn/reapplied. The jersey features a “year only” supplemental tag as opposed to one that would contain both player number and year of issue. Although legitimate examples can be found with both styles of supplemental tagging, we have opted for a more conservative description as opposed to when the uniform has been previously offered. Auction closed on Sunday, October 30, 2011.